Oral histories of Grand County. "I shall never forget it as long as I live. Nor do I ever expect to experience anything comparable to it again. Civilization had found its way across the mountains into Middle Park," reflected Mrs. Josephine Button in 1955 on her 91st birthday, as she recalled seeing smoke from the first Denver Northwestern and Pacific work-train on Rollins Pass, high above the Fraser Valley and Middle Park. Once those rails made it over the Continental Divide all the way to Hot Sulphur Springs, "changes came thick and fast." Many men, many dollars, many routes and many dreams tried to bring a railroad over the Continental Divide into Northwest Colorado, and the "Hill Route" over Rollins Pass that finally accomplished it a century ago has retained its allure ever since. The Moffat Railroad built a cafeteria, telegraph station, living quarters for Moffat's "Hill Men" (as the railroad crews up there were known) and a fine hotel - all collectively called Corona Station. Soot-filled snow sheds protected over a mile of this windblown section of track. And where today silence is the most powerful sense, colorful locomotives pulled passenger and freight cars, filling the rare atmosphere with black smoke and mechanical clatter. Decades of men's dreams lay behind the once massive snow shed that cut the bitter winds from the north and west, behind that fine hotel that offered some of the most spectacular scenery in America, behind the hopeful Town of Arrow nestled below tree-line ten or twelve miles west of Rollins Pass, and behind that first work-train that Josephine Button watched from her hay ranch along the Cottonwood Pass Wagon Road to Hot Sulphur Springs. Competent, often powerful, men in the 1860's through the 1890's filed surveys, graded road beds, and even began drilling before being stopped by severe storms that foiled the best laid plans or their inability to fund the ambitious projects. Dreams to penetrate the high mountains along the Divide in central Colorado began when the Front Range was flooded with miners during the Gold Rush of 1859. Even before Colorado became a territory in 1861, Golden City, just west of Denver along Clear Creek, recognized its potential as a gateway to the rich mineral resources of mountain towns like Central City, Black Hawk, and Georgetown. Golden City's ambitions went beyond becoming a mountain transportation hub, believing that with the right incentives, enthusiasms, and leadership, its location supported a future as a national commerce center. Golden City certainly had men of vision, ambition, and wealth among its ranks. William Loveland and George Vest, both young and feverishly ambitious to see Golden City reach its potential, vigorously pursued their dreams for a powerful commercial center in Golden City. From Missouri River towns like Leavenworth in Eastern Kansas, leading town founders also recognized the benefits of linking their water and rail routes to the east with the resources of the west. 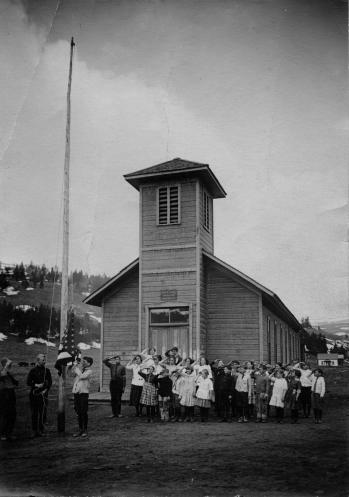 Finally, as if destiny had demanded it, Edward L. Berthoud, a young civil engineer and surveyor with energy and ability, arrived in Golden City from Leavenworth in April of 1860 to unite the similar passions of leading citizens from both locations. From 1861 until 1866, Berthoud, Loveland and Vest focused on bringing a direct transcontinental railroad route through Golden City. First, Edward Berthoud, along with Jim Bridger and a capable young cartographer named Redwood Fisher, blazed a trail across Berthoud Pass through Middle Park all the way to Salt Lake City. Returning to Golden City on May 28, 1861, Berthoud reported "a good wagon road could be ?quickly' built" from Denver to Salt Lake City over Berthoud Pass for about $100,000.00. According to the local hyperbole, a railroad would surely follow. In spite of considerable enthusiasm, disappointment plagued early efforts to put a rail line over the mountains in Colorado Territory. In 1862, Territorial Governor John Evans sent the Surveyor General for Colorado and Territories along Berthoud's route and others to confirm or deny the potential of a railroad line. About the same time, the Union Pacific Railroad Company sent an independent reconnaissance to examine potential routes over the divide that included Berthoud and Boulder Passes (Boulder Pass became Rollins Pass in the early 1870's, when John Quincy Adams Rollins built a toll road over it, and then Corona Pass when the Railroad crossed it). Surveyor General Case and the UP agreed that neither route offered much hope for a standard gauge railroad. The dream of a transcontinental line over the Continental Divide through central Colorado seemed to die with the UP surveyor's words, "I learned enough to satisfy myself that no railroad would - at least in our day - cross the mountains south of the Cache la Poudre..."
Multiple failed attempts to bring a rail line over the Divide through Middle Park during the following decades strengthened the UP's "death sentence." 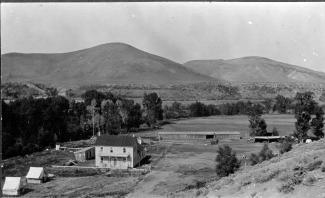 Against the odds, Berthoud and Loveland continued to solicit support for a railroad west over or through the Continental Divide, using improved surveys and maps to support their requests. In the 1880's, survey crews from a variety of railway incorporations were scattered over the high country on or near Rollins Pass. Over Berthoud, Rollins and other passes, they marked potential railroad lines with their wooden stakes. It was during this stretch of strenuous surveying activity that David Moffat, a highly successful Denver capitalist, got involved with an unsuccessful effort to bring through the mountains instead of over the top. In the early 1880's, Mr. Moffat invested in the Denver, Utah and Pacific Railroad, which intended to tunnel through the mountains near Rollins Pass. Like the other efforts, though, the Denver, Utah and Pacific vanished in a few short years. Unlike many other lines that accomplished little more than surveys and maps, the DU&PRR completed significant grading and began tunneling before reaching the "end of its resources." Money, power and success supported Moffat's dream to put Denver on a direct transcontinental railroad line. Doctor Robert C. Black, III, wrote that David Moffat's failed efforts in the early 1880's converted him to the idea that Denver needed to be on a direct transcontinental rail line. 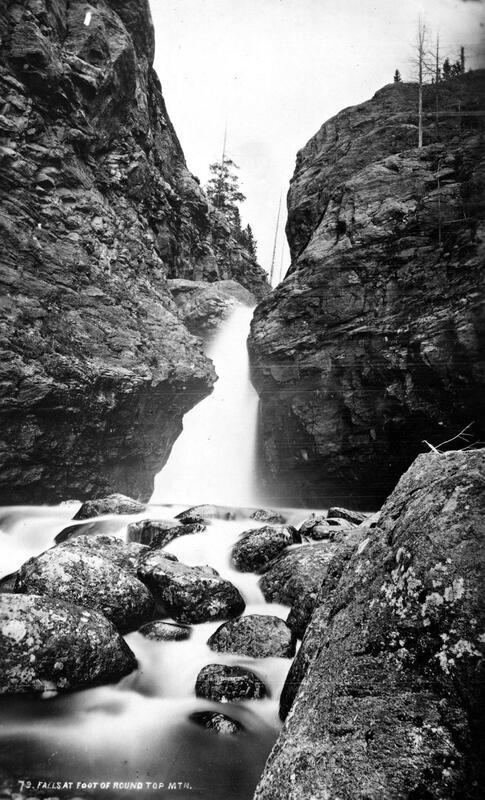 Moffat considered the route over Rollins Pass valuable enough to have surveying and grading crews working on it throughout the winter in 1902. 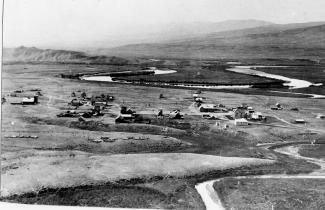 The Denver Rocky Mountain News claimed that Moffat's route through Northwestern Colorado included "the largest strip of fertile land as yet undeveloped in the United States..." With his Denver, Northwestern and Pacific Railroad, David Moffat planned to make good his intentions to put Denver on direct transcontinental railroad line. Moffat's original plan called for the "Hill Route" over Corona Pass ? the name changed from Rollins Pass in honor of Corona Station at the top ? to last for only a few short years. While the "temporary" route over the top generated resources by extracting the resources of Northwestern Colorado, a tunnel was to be bored through the Continental Divide. Even the wealth and power of Moffat, though, failed to adequately finance the tunnel before he died in 1911. The temporary line, therefore, lasted for nearly of a quarter century, from 1904 until 1928. Its obstacles proved as enormous as the mountains it crossed. Work crews had to cease operations because of snow for most of April in 1920. The road was closed from late January until May in 1921. In December of 1924, engine number 210 busted "a main reservoir pipe," causing the train to fly down the hill out of control until it jumped the tracks and crashed into the valley below. Clearly, the Denver and Salt Lake Railroad, which took over Moffat's DNW&P after his death, needed a tunnel to replace the expensive effort over the "Devil's Backbone." As Denver and Salt Lake Locomotive Number 120 came through the tunnel in early 1928, it represented the culmination of a massive undertaking through wet, unstable rocks which required considerable engineering ingenuity and caused six deaths in a 1926 cave-in. It also took an enormous amount of coordination and effort to secure the necessary funding. Through local bond issues, private investors and other means, the project was completed. And through a connection at Dotsero, a railroad station less than 30 minutes west of Vail on I-70, freight and passengers could make a direct Pacific connection from Denver. Posthumously, David Moffat's dream became a reality. For significant periods of time since the trains stopped operations over Rollins Pass in the late 1920's with the opening of the Moffat Tunnel, on-road vehicles crept along its relatively easy grades and wide curves from Rollinsville on the east slope to Winter Park on the west side of the Divide. Like now, the road ran through an area attractive to backcountry campers and sport enthusiasts. On September 1, 1956, local officials and private citizens met on Rollins Pass to celebrate a "joint state-federal-county project to convert the old D. & S. L. railroad right of way over Corona Pass into an access road for sportsmen." According to the Denver Post, the game and fish department's construction division reconstructed the road during the summer of 1955 for about $20,000. 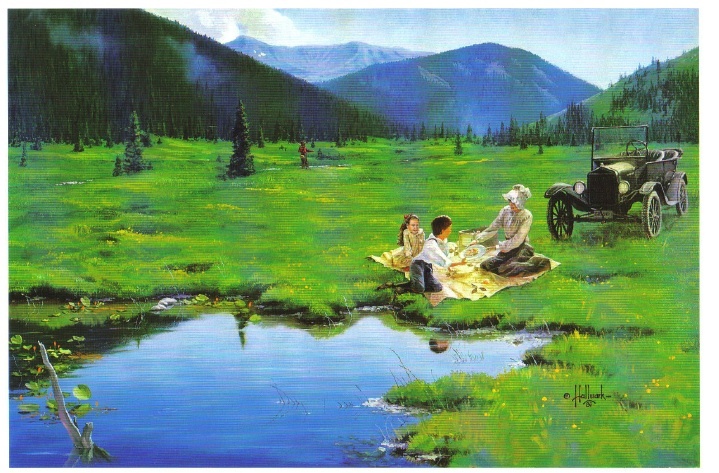 The following year, the road became a scenic route over the Continental Divide for family cars and jeep caravans alike. And after it was built, or at least reconstructed, they did come. Intrepid tourists into Middle Park. 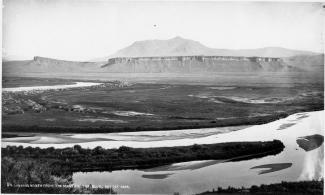 Many noted fur trappers and traders are reported to have been familiar with the headwaters of the Grand (Colorado) River as early as the 1820s. Among them were Thomas Fitzpatrick, Jim Beckwurth, Christopher “Kit “Carson, Henry Fraeb and Peter Sarpy. Louis Vasquez built a trading fort on the South Platte River and ventured into what is now Grand County, where a pass east of Berthoud Pass is named for him. His partner, Andrew Sublette, also came across the Divide to trade in Grand County, as well as Ceran St. Vrain, whose fort was near modern Platteville. 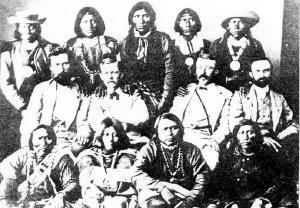 26 year old Tom Smith was with a group of trappers who entered the northern part of Grand County in 1827, where they were attacked by either Ute or Arapahoe Indians. Tom was hit in the leg by an arrow, splitting the bone and creating a life threatening infection. Amputation was needed but none of the party had the nerve to perform the operation. So Tom took a butcher knife and amputated his own leg. As “Pegleg Smith” Tom later became noted as one of the greatest horse thieves in the West, but was never prosecuted. The beaver trade was essentially over by the 1840s as silk replaced beaver pelt as the stylish material for top hats. In 1842, famed traveler Rufus Sage came over Muddy Pass into Middle Park, but recorded almost no hunting activity there. On the other hand …fishing was great! His party caught over 50 pounds of trout in one morning. Noted mountain man Jim Bridger and another guide, Joseph Chatillon, let the infamous Sir George Gore on an extravagant hunting expedition in Middle Park. Despite the senseless slaughter of thousands of game animals, Gore has been immortalized with a mountain range, canyon and pass named for him. It was my first Christmas in the mountains. Not only that, but it was my first time to be part of a vacation in a cozy ski inn. This was at Millers Idlewild Inn in Hideaway Park (now the town of Winter Park). I had been married only eight months. Dwight and I had worked hard, getting everything in order: ­clean beds, fresh spreads and curtains, floors shining and bathrooms sparkling. The woodpile was full and food supplies ready. Our plans for evenings were laid out too. Dwight would do movies. His brother Woodie would call square dances, with former Moffat Road engineer George Shryer accompanying on the fiddle and his wife, Grace, chording on the piano. Tom Smith would bring his sled and team of horses, to take happy folks along snow-packed roads for sleigh rides, to the tune of jingling bells. Games were at hand, along with a fine supply of books on the shelves. We expected a wonderfully busy two weeks, which was a good thing, because it had been a long time since our last income, before Labor Day. Family and friends were coming tomorrow to give a hand over the holiday, and then the fun would begin. As the first guests arrived, I stepped outside, and lifting my nose, I thought, "I smell snow!" Great! The area already had a pretty good covering, so that when people called and asked, "Is there snow yet? Should we come on ahead?" we could gladly say, "Come." That night it snowed,­ 12" of beautiful soft flakes. Skiers were overjoyed. Dwight got out early to shovel, plow, pull people out of drifts, take others to Winter Park Ski Area, three miles away. That evening we heard that almost no stumps or rocks were evident on the slopes; all had been buried. The next night it snowed again ­ 12" of beautiful white stuff. We were amazed. But Dwight got out early to shovel, plow, pull people out if drifts, and take others to the area. The following night it snowed again, and every night for a week, it snowed, dumping heaps of snow on the whole valley. Winter Park Ski Area, in those days, wasn't open on Christmas Day; the management wanted to let its employees have the day at home with their families. So we took our guests to the top of Berthoud Pass; from there they could ski down Seven Mile Trail and we met them at the bottom. The day after Christmas began the busiest days of all. Back then, many families didn't leave home until the 26th. This was fine, until the passes closed from heavy snows and avalanches. Then visitors, who had to leave, couldn't drive out, but people who were coming by train could still get in! We had a problem. The parking lot was jammed with rental cars. Although some folks went ahead and left by train, many families stayed on. The rooms were completely full and after all, newcomers were entitled to their reserved space. We had guests stashed all over the lounge, extras in the dorms, and extras in the cabins. What a crowd it was. I hardly had time to think. I cleaned all morning, helped set tables and serve, did dishes, sometimes hauled skiers to or from the area, kept up with the office work, and joined in entertaining folks in the evenings. Thank heaven for family and friends! There never was such a hectic week. But the Miller hospitality at Idlewild kept our visitors relaxed and happy. Truly, it was a jolly time, with tired skiers loafing in front of the fire, doing puzzles or playing games. There was always a group playing canasta after dinner, in the dining room, and peals of laughter would pour forth when somebody won a great hand. At last New Year's Eve came and went. The rental cars had gone back to Denver. The rooms were empty. We were alone except for a couple of guests. Making our path through the deep drifts, Dwight and I went home and flopped down on our own sofa. I heaved a sigh, saying, "Well! So that's what Christmas in the mountains is like. I had o idea there would be so much snow." Little did I know that for Christmas, 1952, we would still have the crowd of guests, but there would be hardly any snow until January!